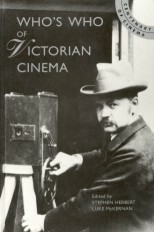 Benjamin Franklin Keith's unbroken commitment to the new medium of motion pictures from June 1896 onwards was a sugnificant factor in making the vaudeville circuit the most important American venue for early film exhibition. Born in Hillsboro Bridge, New Hampshire, Keith worked at Bunnell's Museum in New York City in the early 1860s, later joining P.T. Barnum and then the Forepaugh Circus. In 1883 he opened a show in Boston in partnership with Col. William Austin, and then slowly began to open a series of vaudeville theatres across the country, all operating under his innovative idea of providing refined entertainment at popular prices. His reforms of the previously vulgar forms of vaudeville were immensely successful and he brought many theatrical stars into the variety theatre, as well as raising performers' salaries. Keith's Union Square Theatre in New York was the site of the first American exhibition of the Lumière Cinématographe, opening on 29 June 1896, and Keith obtained the exclusive American rights to the Lumière apparatus for its first few months of use in the United States, opening quickly in Philadelphia, Boston, and other cities. Dominant in New England, New York City and the mid-Atlantic states, Keith's vaudeville theatres became a significant and stable early circuit for American film exhibition with his contract for Biograph exhibitions in late 1896; he remained loyal to that firm until July 1905 even in the face of declining business after 1902, finally replacing Biograph with the Edison Kinetograph service of Percival Walters. Keith merged his theatre circuit with the 'continuous vaudeville' houses of F.F. Proctor in June 1906, and from about that time Keith converted many large but marginally profitable popular vaudeville theatres in smaller new England towns into nickelodeons, sometimes alternating popular vaudeville and film presentations. 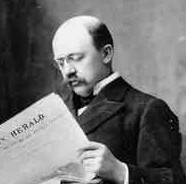 He withdrew from his business engagements in 1909 due to ill health, although remaining an active patron of art and musical organization in Boston, and some 400 theatres bore his name at the time of his death in 1914.